The YWCA Women’s Triathlon is the largest outdoor women-only tri in the country. More than 1,300 triathletes, aged 11-80, participate in this unique community event to celebrate the strength in all women. 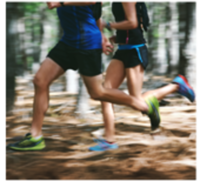 Voted Minnesota’s Favorite Race of the Year in 2012 and 2017, we offer a welcoming experience for everyone. Triathletes can train and race together with friends, family, and colleagues in a “Buddy Group,” compete as a family team with their mother, daughter, sister, or life partner; and cross the finish line with loved ones in our “Friends & Family Finish Zone.” Over 35% of our athletes are first-timers, and returning athletes are eligible to compete for the coveted Toni St. Pierre “Most Improved” Award. 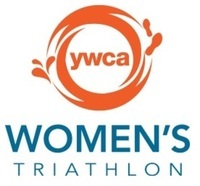 The YWCA Women’s Triathlon starts with a swim in popular Lake Nokomis, bikes the parkway roads along the bluffs of the Mississippi river and finishes with a flat run on the paths around Lake Nokomis. Two distance options include the Sprint (500yd swim/15.5mi bike/5K run) and the SuperSprint (200yd swim/7mi bike/1mi run).